BIM is an intelligent 3D model-based process for creating and managing all of the information on a project: before, during and after construction. It is the digital working method for the building industry. 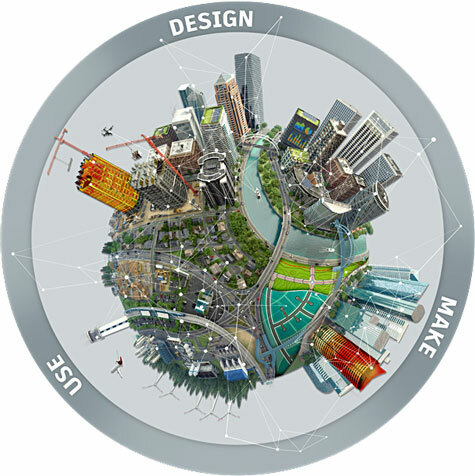 BIM provides value by enabling architecture, engineering and construction professionals to collaborate and to work together effectively over the lifecycle of a project. Better Interoperability: BIM allows all parties to be involved in the project. Various design professionals, suppliers, clients and other stakeholders can collaborate more efficiently allowing projects to run more smoothly. BIM includes a wide range of variables related to construction and visualizes all of them in a single model, allowing better coordination and collaboration among different disciplines. Better Predictability: Planning a construction project from beginning to end gives the client a clear and concise view of how their projects will be realized. Aspects of the project can be easily modified based on their expectations and goals. BIM allows all those involved in the construction process to plan ahead. In other words, important decisions can be made earlier, mitigating costly changes later, and achieving a better end result. Reduced Errors: The integration of multiple building components can sometimes generate errors due to sizing and complexity issues. With BIM technology, all relevant information is merged and then analyzed. If every stakeholder of a construction project use BIM technology, inconsistencies and errors can be quickly identified and eliminated during the planning phase. Rapid Project Delivery: Utilization of BIM provides large time savings. With a shared model, reworks and duplication of drawing can be minimized. Project planning and design can begin at an earlier stage. BIM modelling tools also have the advantage of being faster and more accurate than traditional 2D drawing approaches. BIM is becoming the standard for international building projects. Many governments including countries like the UK, US, Norway, Finland and Singapore already mandate that public construction projects are delivered using BIM technology. Therefore, transforming design and working approaches to adopt BIM technology is a crucial step to stay competitive and relevant. Also, the advantages BIM provides through sustainable planning and collaborative working help reduce errors and reduce project costs help BIM users to stay on top of the competition and to execute building projects more quickly and successfully. ProtaBIM has been designed to allow engineers to easily communicate and coordinate models with other project stakeholders including architects, fabricators, BIM specialists and owners. Using intelligent physical objects and customisable templates and families means ProtaStructure models can be accurately and directly shared with other leading BIM platforms including Autodesk Revit without wasting time re-creating model data and fixing building setout. Save hours of modelling time by starting in either your chosen BIM platform or ProtaStructure and simply sharing your model back and forth, as many times as you wish. Make changes and enhancements along the way and seamlessly synchronized projects to keep your BIM models up to date. Track and review changes as your coordinate projects using intelligent model auditing tools, and quickly check and update designs in ProtaStructure as projects are refined. Quickly and efficiently coordinate your projects before construction starts and save hours of wasted time and headache trying to resolve problems later. Keep your clients happy and deliver faster, more profitable projects with ProtaBIM.